The Gulf of Marinella is situated on Sardinia’s North Eastern coast and is one of the most beautiful places in the Gulf of Aranci. The Gulf of Marinella boasts an amazing location, 5 km from Porto Rotondo and only 15 km from the port and airport of Olbia, and it also features a small tourist harbor. The entire area of the Gulf of Aranci, and especially the Gulf of Marinella, is famous for its beaches but also for the hospitality and services provided to tourists: residential complexes, seaside resorts, restaurants specializing on traditional seafood dishes. The Gulf of Aranci municipality is famous not only for its beaches, but also for its long history. The countryside churches are well worth a visit. The Church of Marinella in the locality of Punta Marana, was inspired by the architecture of humble countryside religious places of the Mediterranean. The Church of the Madonna del Monte is a small countryside church with many ex voto offered by followers, and it is erected on a hill with a breathtaking view. According to the legend it was built by some sailors from Viareggio who survived a shipwreck in the Gulf of Marinella. The Nuragic Sacred Well called Milis is an absolute must: it has been well preserved and is located on the grounds of the Marine Colony of the Gulf of Aranci, near the railway station. 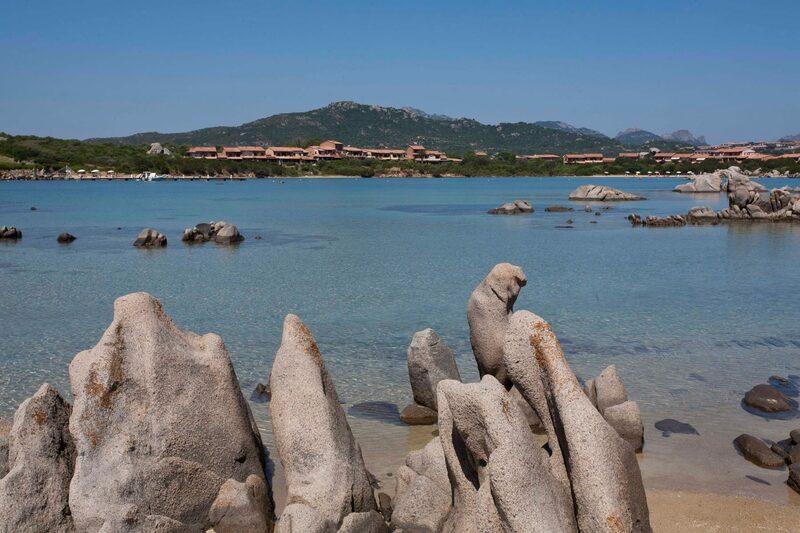 The Gulf of Aranci region is also the perfect starting point to discover the beauty of Northern Sardinia. You can go on excursions or trek in the promontory of Capo Figari, for example, with its cliff and breathtaking views of the sea. Or you can reach the Vecchio Semaforo (old traffic light), a military fortress famous for the radio experiments that scientist Guglielmo Marconi carried out here, and from which you can enjoy and amazing view of the promontory of Tavolara Island. From the Gulf of Marinella you can also easily reach Costa Smeralda and Palau, departure points of the ferries to the Maddalena Archipelago. 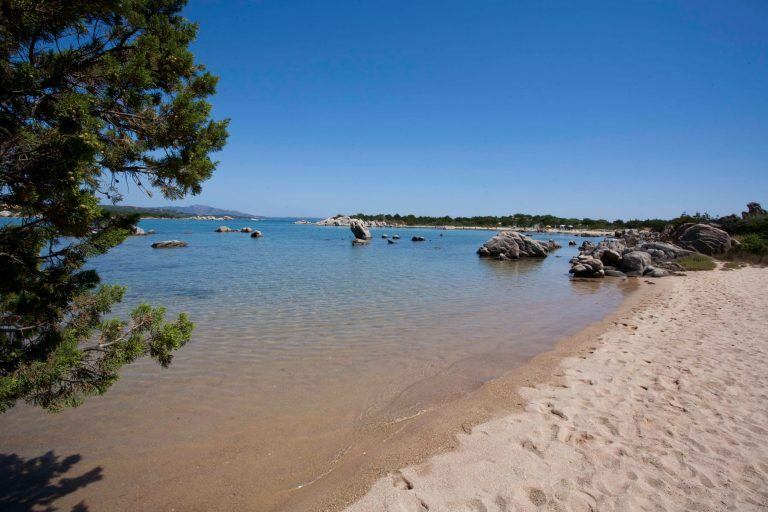 The coast of the Gulf of Aranci features small coves and thin sandy beaches: there are about 24 beaches, most of which easily accessible and equipped with facilities. Marinella beach, located in the Gulf of Marinella, it is one of the longest beaches of the Gulf of Aranci and of Costa Smeralda. 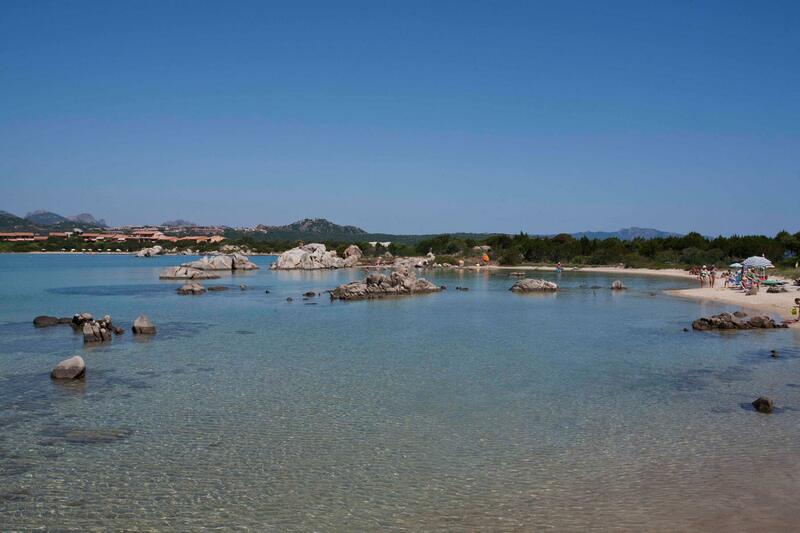 It features crystal clear waters with green overtones typical of the Gallura region. Further south is the Baia de Bahas beach perfect for those who love pristine and wild locations and summer sports, as a matter of fact diving enthusiasts love this beach. Cala Sabina Beach is located on the North Eastern coast of Capo Figari and is one of the most fascinating in the area. And Cala Moresca , which can be reached taking the unpaved road towards Capo Figari. Surrounded by nature, the little cove of Cala Moresca boasts a wonderful view of Figarolo Island.